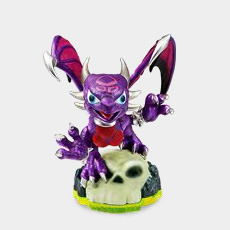 Activision’s been shipping Skylanders as quickly as they can, but they’ve been getting snapped up so quickly a lot of folks have been having trouble tracking down the ones they want. Get them before they’re gone :). I am a Minecraft Idiot. If you’re a regular listener to Major Nelson Radio or you follow me on Twitter, you may remember that I recently got sucked back into Minecraft. This is also my first time playing multiplayer Minecraft. Some friends of mine invited me to their private server, and while I don’t really have time right now I wanted to be polite and stop by for a visit or two. Saturday night was my first visit. Sunday was my second. Early this morning – around 5AM – was my third. My friends graciously set me up with a stunning plot of land that I named R’lyeh. Very close to my tiny starter home I discovered a fairly massive abandoned mine. I thought I had it just about cleared and lit when I “slipped” and fell. And fell. And fell. And died. I respawned, grabbed some spare equipment from a crate, and rushed back to recover my gear. I’d been carrying a diamond sword, diamond pickaxe, decent armor, and had mined some good stuff including redstone, iron, and moss stone that I wanted. I made my way safely to the bottom of the chasm but found nothing. At this point one of my friends took pity on me and came to help. She was able to find several of my items on a ledge two-thirds of the way down, and put up a couple of ladders to help me work my way back to the surface. Content that all was as it should be, she went back to building spaceships – yeah, she’s good – and left me to my own devices. At the very bottom of the pit there are several lava flows, and a lot of obsidian. Oooh, obsidian! I wants it, my preciousss! Veteran Minecrafters know that obsidian is formed when lava and water touch, so of course there was a lot of water around. I placed some blocks to keep most of it out of my way and got to digging. Shortly I had about a dozen obsidian blocks in my inventory. I’d cleaned up an entire deposit with the exception of two or three blocks underneath the stone I’d placed to re-route the water flow. I figured I’d mine those and call it a night (morning). Apparently there was water on the other side of those obsidian blocks. As soon as I’d broken one of them, it came rushing in – extinguishing my torch and trapping me. In case you’re wondering, you’ll get to experience about 20 seconds of terror before you drown in Minecraft. I respawned back in my house. I grabbed what spares I had left in storage. I rushed back to where I’d died to recover my gear (again). I never found any of the gear. Nor did I find any of that obsidian that I’d mined and died for. It’s been a brisket weekend at my house. Laura (@lauralollipop) brought a Salt Lick brisket back from Texas for me recently, and on Saturday I reheated it for brisket sandwiches. Somewhere along the way I decided that the leftovers were going to be made into chili. I didn’t go back to any of my normal chili recipes for this one – I went with what was handy and smelled good, and it turned out great. Take the leftover brisket from the fridge and slice into roughly 1-inch cubes. Put into the slow-cooker. Heat a skillet on the stove over medium heat. 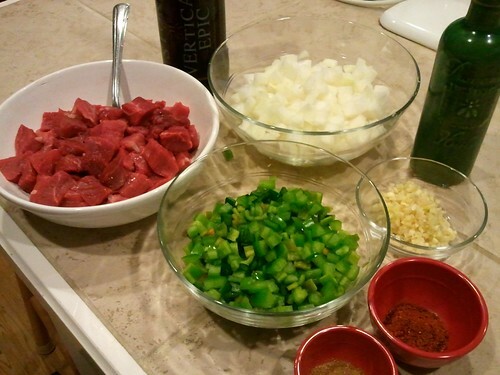 While that’s heating up dice two sweet onions, one green pepper, three jalapenos, and mince a head of garlic. Pour three or four tablespoons of olive oil into the skillet and add the veggies. Add two tablespoons of chipotle chili powder and two tablespoons of cumin to the veggies. Stir the veggies every minute or two until they’re soft – probably about 10-15 minutes. While that’s happening, add a 28-oz can of diced tomatoes and two drained cans of low-sodium red kidney beans (sorry, Texans) to the slow cooker. Add two cups of chicken broth. Add one tablespoon of soy sauce. When the veggies are done – probably about now – add them to the slow cooker. Set the slow cooker on high for six hours. 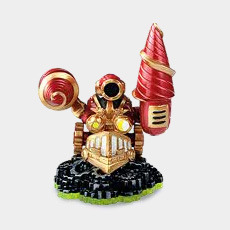 Skylanders: Wave 3 is coming! There’s confirmation of Cynder in the Skylanders Facebook FAQ. 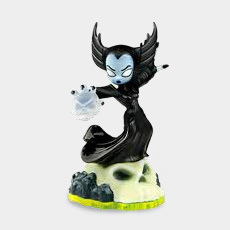 Previously Target-exclusive Whirlwind won’t be exclusive any longer. Previously Sam’s Club/Walmart-exclusive Drill Sergeant won’t be exclusive any longer. There’s a new triple pack coming out containing Whirlwind, Double Trouble, and Drill Sergeant. Double Trouble is also new! There’s mention of a new expansion – the Empire of Ice Adventure Pack – on Twitter. So far I haven’t seen the Empire of Ice Adventure Pack available anywhere. If I do I’ll update this post – if you’ve seen it, holler! This weekend was largely about watching the NFL playoffs. When I watch a lot of football, I invite friends over for an excuse to cook a lot. Saturday’s feast was hamburgers made with freshly ground chuck, sirloin, and brisket. Sunday’s was pulled pork and coleslaw. Surprisingly – to me, at least – I’ve been receiving a ton of questions about the coleslaw. My recipe is based on one I first saw many years ago in the BBQ FAQ that grew out of the old BBQ listserv. If you have any interest in BBQ (specifically, slow smoking) you need to download the entire FAQ from here. The coleslaw recipe I started with is the first one in section 15. I love all of the ingredients, but for my taste the proportions are wrong. It’s much too wet, for one thing – so here’s how I do it! Shred/grate one head of green cabbage. I usually use a box grater for this. Sprinkle a little salt on the cabbage, toss to mix, and let it drain in a colander. Shred two carrots into the bowl you’ll toss the coleslaw in. Two large carrots is slightly too much for one head of cabbage, so I generally shred about a carrot and a half and give the rest to Cthulhu. He LOVES carrots. Dice one green pepper and add it into the bowl. Grate about a quarter of a small onion into the bowl. I usually use sweet yellow onions, but red onions work well also. Transfer the cabbage into the bowl and mix well. Add one cup of mayo to the bowl. It’s important to not start with too much, as it’s easy to make the coleslaw too goopy and there’s no way to un-goop it. Homemade mayo is stellar, but low-fat Whole Foods house brand works well. Add 1/2 cup of sugar. Add 1/4 cup of dijon mustard. Add 1 tablespoon of celery seeds. Grate a little pepper over the bowl. Mix well. It’ll probably be too dry at this point. Add more mayo, but don’t add more than 1/4 cup at a time and mix each time after adding more. 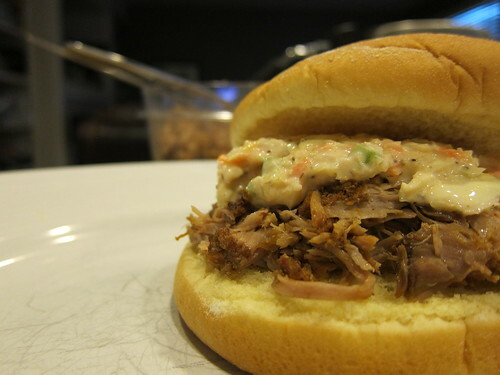 Hopefully you’ve got something wonderful like slow-smoked pulled pork to put the coleslaw on! If you follow me on Twitter or listen to Major Nelson Radio, you may know that I’m a bit of a Skylanders fan. Honestly, I’m not sure how it happened. The game had been under my radar when it released, probably because of just how crazy things were at work at the time. It came to my attention when I saw the game being talked about at Penny-Arcade and heard Jeff raving about it on the Giant Bombcast. 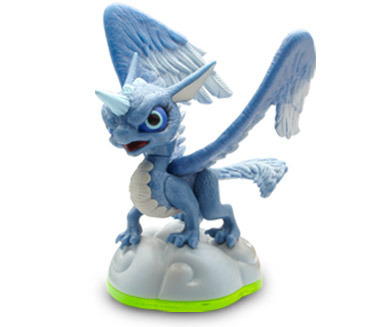 A lot of folks have been asking me questions like “which Skylander is exclusive to which retailer?”. For FAQs like that, I’d suggest the Giant Bomb Skylanders Page. 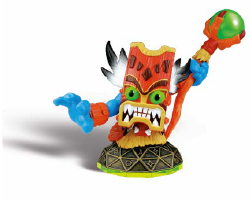 The main reason that I’m making this post isn’t to talk about what Skylanders is, or why I like it so much. 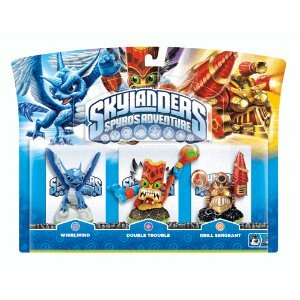 It’s to answer the #1 Skylanders question I’ve been getting: which ones do you have? Plus Legendary Bash, Legendary Chop Chop, & Legendary Spyro. I also have the Pirate Seas & Darklight Crypt Adventure Packs. I don’t have a problem. I can stop anytime I want to. I just don’t want to, because they’re really freaking cool. EDIT, 11/27/11: I have a 3DS Skylanders Starter Pack on the way which will add Dark Spyro and Ignitor to my army, giving me a total of 27 unique Skylanders. I think that’s all the ones that are currently available minus the rare Silver Boomer. A Silver Eruptor has been found in the wild. EDIT, 12/1/11: A Silver Dino-Rang has been found in the wild. EDIT, 12/10/11: I’ve got a Silver Dino-Rang of my own! It’s Fall – and when the weather turns cold and wet, I tend to cook a lot of things that simmer all day. Most often this means beef stew or chili. Saturday was a day of rest and football for me. Work has been even more insane than usual lately with the launch of Modern Warfare 3, and my Oregon Ducks had a huge game at Stanford on national TV. I decided to invite a bunch of friends to spend the day watching football at my house. I told everyone to bring things that’d go well with chili. My chili is a little different every time I make it. It’s a combination of my mood, what’s in season, and what’s in the pantry. The specific ingredients aren’t critical – you can substitute liberally and the end result is still likely to be yummy. I went to Whole Foods Friday night on the way home from work and picked up a few things. A 2-lb chuck roast, sweet yellow onions, a green pepper, anaheim & poblano peppers, garlic, and a few bombers of Stone’s latest limited release – Stone 11.11.11 Vertical Epic Ale. You’re also going to need a large (28-oz) can of diced tomatoes, a couple of cans of red kidney beans if you like beans with your chili (I do, and I buy the no-salt-added variety), and your favorite chili fixings like cheddar cheese and sour cream. Turn on football and drink espresso. Trim and cube the chuck roast into roughly 1-inch chunks. Season liberally with salt and black pepper. Dice two large sweet onions. Dice one green pepper, two anaheim peppers, and one poblano pepper. Mince an entire bulb of garlic. Open the Stone, and get out your best olive oil. Pre-heat a large, heavy pot over medium heat. I have an amazing 5.5 quart Le Crueset that was a gift a decade ago. Lodge has some nice looking (and inexpensive) similar products that look worth a try. Pour some olive oil in to the pot, and add the chuck. You’re looking to get some nice color on the meat, but don’t overcook it. It’ll get plenty more heat while simmering in the chili later. This should take less then 10 minutes. Remove the meat, drain the fat from the pot, and put it back on the stove to reheat. While the chuck is on the stove, open the Stone and pour yourself a glass. Pour a liberal amount of olive oil into the once-again hot pan, and add the onion. Cook the onion by itself for 5-10 minutes, stirring occasionally. When it smells great and is starting to soften add the pepper mix. Keep stirring occasionally for another 10 minutes or so. Throw 5-10 oz of sun-dried tomatoes into the food processor with some olive oil, and pulse until it’s almost a paste. Add to the mix. Add the garlic and stir for a couple more minutes. Add the cumin and chili powder. Stir every 30 seconds for 2-3 minutes. Deglaze the pan with between one and two cups of Stone. 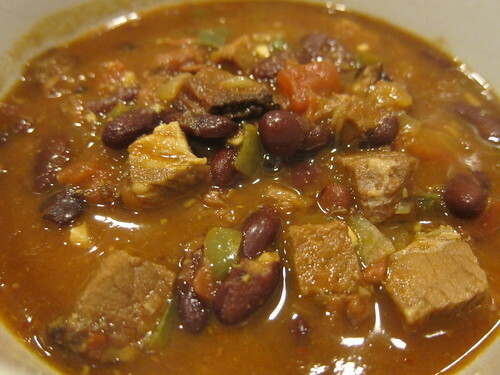 The 11.11.11 is made with chili and cinnamon which makes it perfect for chili. Let it go for a minute or two, stirring to make sure you get all the goodness off the bottom of the pan. Add the meat back to the pot. Add about a cup of water. Cover and simmer for a few hours, stirring every 30 minutes or so. If the chili gets too thick add another cup of water along the way. Have good friends arrive with more beer, corn bread, cookies, and other excellent things. If you’re going to add beans, add them an hour or so before you’re going to serve the chili so they have plenty of time to warm up. Achievement Unlocked: Made Amazing Chili! The longer it simmers, the better it’ll taste. It’ll even taste better after a night in the fridge, so you might want to make double batch so you’ll have leftovers. 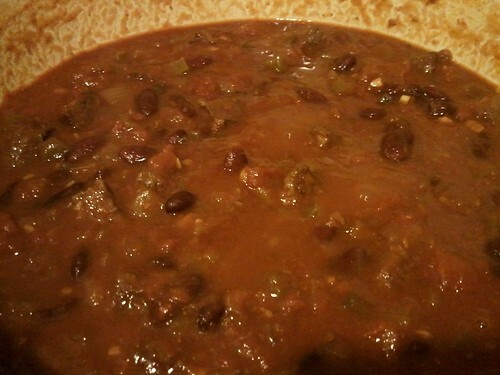 This particular batch of chili had amazing flavor, but was lacking a little in heat. If you’re a spice fan I’d suggest roughly this recipe, but add a small can of pureed chipotles to the other peppers. FINAL: Oregon 53, Stanford 30. GO DUCKS! This afternoon we went to check out GeekGirlCon. If you’re in the Seattle area and you didn’t make it today, it’s worth your time to check it out tomorrow. They were being offered for $2/each. 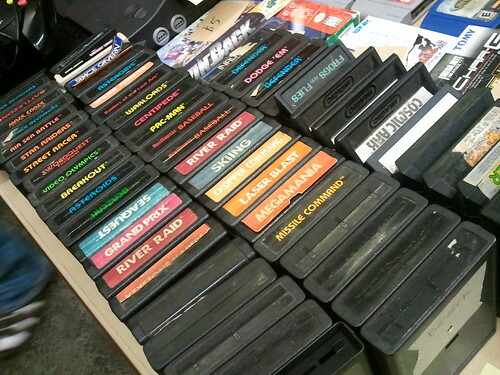 I offered $40 for the entire lot, and a couple of minutes later I was walking away with a heavy bag full of cartridges to add to my collection. Tonight I’ve got a houseful of friends as we raise money for Seattle Children’s Hospital with G3. We’ll be playing Horde Mode 2.0 from level 1 to level 50. 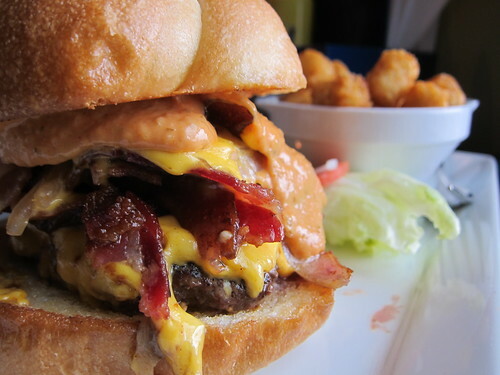 We’re about to get started once we eat some of this astounding food we’ve got on hand. The team is myself, my spawn, @stepto, @justicar, & @seattledre. Level 50’ll be a piece of cake :D.
If you’d like to support us and Seattle Children’s Hospital, you can donate here. 8:22PM Here we go for reals :). 8:42PM Wave 10 complete! We got a Brumak for the first boss wave. 9:10PM First attempt at Wave 20 fail. Berserkers+lack of teamwork=death. 9:21PM Wave 20 complete! It was a three Berserker wave, but our outstanding teamwork won the day. 9:49PM Wave 30 complete! Another Berserker wave with lots of screaming like little girls. 10:00PM We had a quick break for food. Bacon brats from the Swinery in Seattle, simmered in beer and sweet onions on a bun with dijon and ketchup. OMNOMNOM. 10:03PM We may have gotten a little too excited over the bonus in round 31 for chainsaw kills. We were all dead except Stepto who was on a turret. As he gets surrounded he calls out “who’s on my left side?”. My response: “well, it’s not any of us!”. He died. 10:27PM Wave 38. The challenge was “no one die”. Someone yells “I’m down”. Someone else yells “WHY ARE YOU WAY OVER THERE?!”. We made it through the map, but three people may have died in the process :). 10:36PM First attempt at Wave 40 fail. Berserkers+lack of teamwork+@justicar falling through the map=death. 11:04PM The third attempt at Wave 40 failed when @justicar lagged out. We broke the game down and had to restart at Wave 37 to earn some cash for turrets. We got a good boss roll with Corpsers – there was lots of panic and screaming, but we made it through. 11:56PM First attempt at Wave 50. 11:59PM Second attempt at Wave 50. First one was Berserkers. 12:03AM Third attempt at Wave 50. Second one was Berserkers. 12:06AM Fourth attempt at Wave 50. Third one was Berserkers. I HATE BERSERKERS. Horde 1-50 in less than 4 hours :D. WOOHOO!